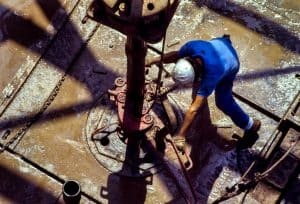 Toxic Chemicals and Oil Field Workers | Larson Law Firm P.C. Right now, the oil business is expanding after strong 2017 numbers. New demand and new technologies have spiked production all around the country, which also increases the demand for field workers. There is no doubt that the oil and gas industry has been good for North Dakota. But is it always good for workers? Oil field drilling and fracking expose workers to chemicals on a daily basis. Some of these chemicals are toxic on their own, and some of them become toxic when combined with oil or gas. In the rush to produce more oil, it’s crucial companies give employees adequate safety training, proper personal protective equipment, and experienced, hands-on supervision. When not provided, companies could be putting their employees in danger. Many of these chemicals are released during the fracking process. Repeated exposure to these chemicals can cause long-term health issues, debilitating conditions like lung disease, or even death. Many of these illnesses don’t show symptoms until the injury is in its advanced stages—it could be months or years before irreversible damage appears in the body. The Bakken oilfields in particular have a high concentration of hydrogen sulfide (H2S). H2S is also known as “sour gas” due to its rotten egg smell, and is potentially deadly. High levels of H2S can actually block the olfactory nerve, irritate the eyes, nose, throat and lungs, and cause disorientation and headaches. In worst-case scenarios, it can attack the brain and cause the body to stop breathing. It can be fatal within a few minutes or even seconds of inhalation. Our lawyers look at every unique situation to examine who is liable for a worker’s toxic exposure, how the exposure happened, and what kind of claim to bring against the responsible party. If you or a family member is a victim of toxic chemical exposure, our oil field injury attorneys are here to help. At Larson Law Firm, P.C., we don’t want you to suffer due to someone else’s negligent actions. We will aggressively fight to get you compensation for your injuries. 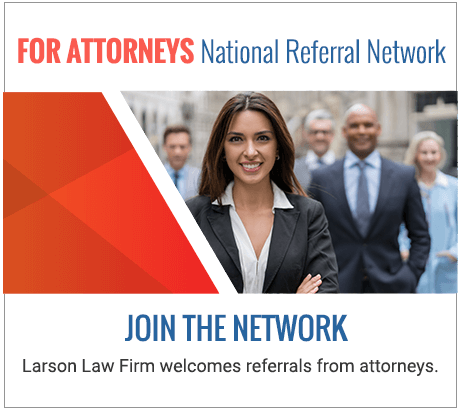 To schedule your free initial consultation with an aggressive North Dakota injury attorney, call our Minot office at 701-484-HURT, or fill out our contact form.